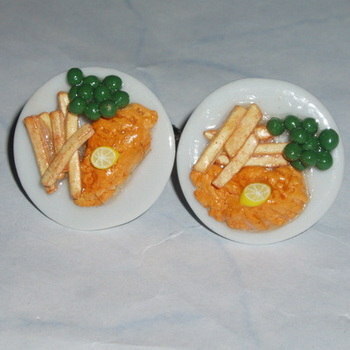 Teatime plate with peas and lemon securely attached to silver plated cufflinks bases. Funky, Punky and Handmade. Plates measures about 20mm across and are made of porcelain. These cufflinks are Handmade in Scotland.